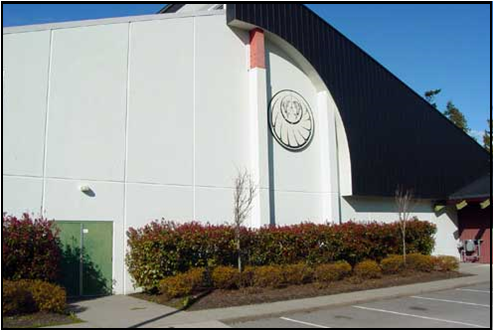 Ch’iyáqtel is located in the heart of Sardis, BC in close proximity to the Chilliwack/Vedder River. Ch’iyáqtel Reserve #13, totals 283.8 hectares and shares an additional 64.8 hectares of the Grass Reserve lands, with eight of the neighboring First Nation communities within Chilliwack. It also shares 10.3 hectares of Pekw’xe:yles reserve lands in Mission and 23.5hectares of the Coqualeetza lands with 20 other bands of the Stó:lō Nation. 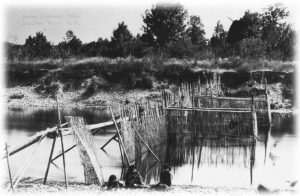 In the Halq’eméylem language Ch’iyaqtel means “fish weir”; “fish trap device”. The Halq’eméylem word Chiyáq means, “banging posts in” and tel means “place of the action of”. Ch’iyáqtel, was the fish weir location on the Chilliwack River. Weirs were fence–like traps which could be opened or closed and were built across wide slow moving rivers, and managed communally. The massive harvests were preserved on drying racks or smoked. Ch’iyáqtel, Yeqwyeqwi:ws, and Skowkale First Nations totaled 1,012 hectares in 1864. 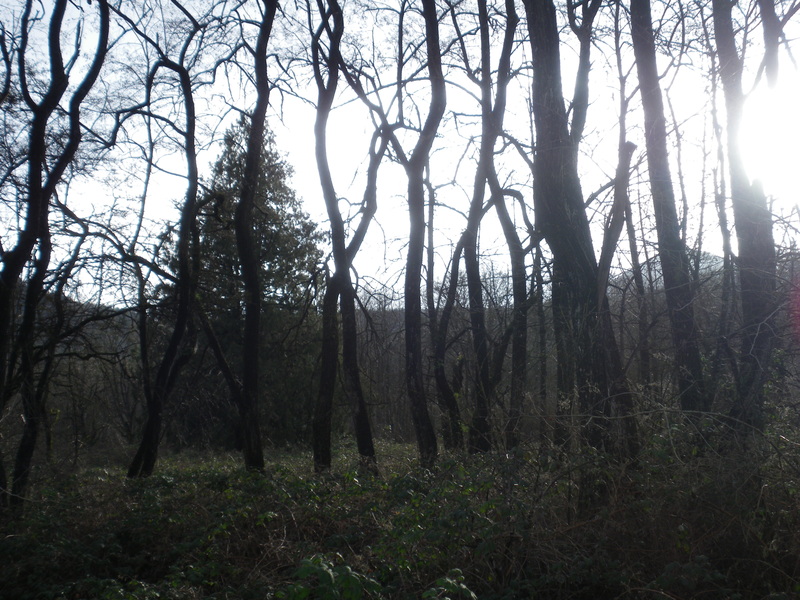 After Trutch reductions, the three reserves totaled 81hectares. Today Ch’iyaqtel First Nation has a total membership of 469, of which, approximately 50% live on reserve. Ch’iyáqtel operates under its own election regulations. Grove of Black Locust Trees Black Locust trees were planted on Ch’iyáqtel for use as fuel for the steamboats that made their way into the valley. 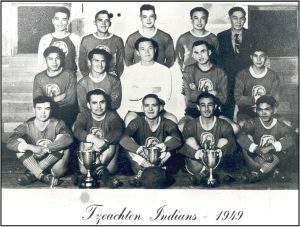 The trees were planted by the Stó:lō specifically for this purpose, as the tree is not native to Canada but to the USA. 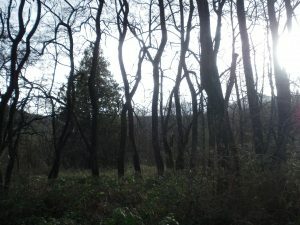 The trees are located on Thomas Road, on the left hand side just off Promontory Road. There are more trees on Promontory Road across from and beside the Ch’iyáqtel Community Centre. Tzeachten Indians Soccer Team Won the Loving Cup, in 1932-33, 1945-46, 1949-50 .The cup was competed for in Chilliwack annually from the 1920’s to the 1950’s. 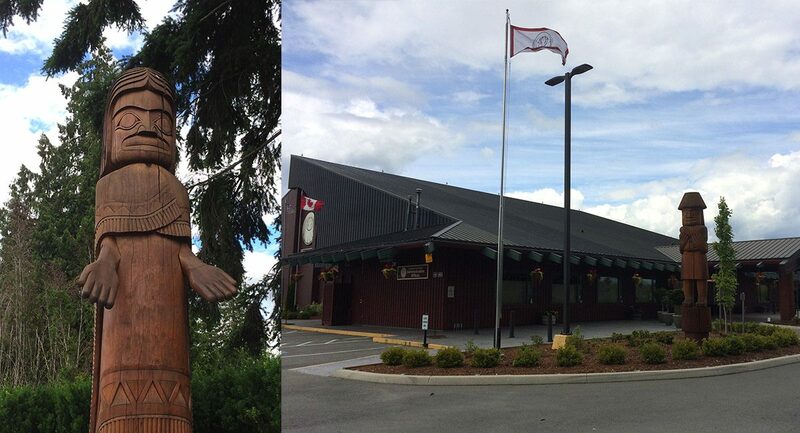 Ch’iyáqtel owns the Vedder Crossing Plaza, where stores and businesses such as Save-On Foods, Tim Horton’s, Royal Bank, Booster Juice, a Medical Clinic and Lab, Great Canadian Dollar Store, First Choice Haircutters and other retail outlets service the Chilliwack community. There are also a number of businesses on-reserve that are owned by band member entrepreneurs which include: Bear Image Productions and the Shell Station. Ch’iyáqtel’s current population is 576, making it the largest SXTA community.